Why should you drink water for weight loss? There are many ways that water can help you to lose weight and become healthier. Every person’s intake of water depends on his or her age, weight and their activity level. It’s also important to factor in environmental factors like altitude and humidity. The variation of when you drink water is important as well. Here are some things to consider as your drink water to lose weight. An increased intake of water can help dieters to lose weight by keeping them full throughout the day. Do you ever feel your tummy growling just an hour after you ate lunch? If you didn’t drink any water during or after the meal, it might not be that you’re hungry but that you’re becoming dehydrated. Your body’s signal to say it’s thirsty is the same as the signal that says you’re hungry so it’s easy to overeat when you haven’t had enough water to drink. By drinking water steadily throughout the day you can know that when your stomach makes a growling noise it’s because you actually are hungry and not because you need some water. Drinking water before meals can also help you to cut back on how much you’re eating! Drinking water 30 minutes before you eat will fill your stomach and leave it with less room to be hungry. Water can suppress hunger because it makes you feel full. When you’re full, you’re less likely to continue to eat - even if you really like what you’re eating. Drinking water before a meal will also help aid digestion. If you have a cafeteria in your work building, hit the water cooler that has fresh water provided by your Colorado Springs water delivery service on your way down. Another way to lose weight by drinking water is to make sure you’re drinking water every couple of hours. By spacing out how often you drink water, your body will continuously feel replenished and will release excess water, which helps you to lose any unnecessary water weight. Your body doesn’t trigger you to feel thirsty unless it’s depleted, so by making an effort to drink water even if you don’t feel thirsty, your body won’t retain water because it will know you’ll replenish it. What are some ways to sneak in more water? If you aren’t a big water drinker, having to drink water often can seem like a chore. Even if you have trouble getting enough water, there are ways to sneak water into your diet to make incorporating more water into your diet easier. If you don’t like to drink water, you can get water by eating water dense fruit and vegetables. Fruits like watermelon are made up of 92 percent water and celery is another vegetable that is mostly water. When you go to grab a snack, grab melon, grapefruit or even cucumbers to get some water through food. Sipping some soup can also be a great way to get more water into your diet. If it’s summertime try cold soups like gazpacho. In the winter, stay warm with broth heavy soups such as minestrone, vegetable soup or even chicken noodle soup. You can even warm chicken or beef broth and drink that before a meal to boost water consumption and keep yourself from overeating. Especially during the winter, soup can be a delicious way to continue to hydrate without feeling bogged down by drinking cup after cup of water. 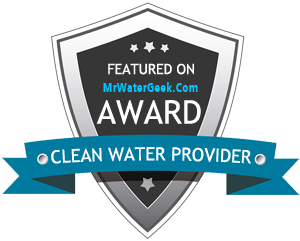 If you usually are thirsty but don’t love the taste of water, first look into using a water delivery service in Colorado to make sure the water you’re getting tastes the best it can. If you’re still bored, add some flavoring to your water. Water tends to be tasteless and less satisfying to some people, so by adding lemon or cucumber into water can give your drink just a bit more pizazz. There are also many flavor packets that are easy to find in grocery stores, you just have to pay attention to what artificial flavors are in the packets to decide if the taste is worth the additives. When flavored water still isn’t doing the trick for you, stick to drinking coffee, hot cocoa or tea. Although these aren’t as pure of a form of water, it is still water. In an office setting, most water delivery companies have a hot water option on the water cooler which helps you to brew a cup of hot tea without needing a microwave. Remember that many coffees, teas and cocoas have sugar or caffeine so when the afternoon hits, switch to decaf or low-sugar alternatives to ensure you don’t have any problems sleeping later on. Other tips to keep on drinking water. Although knowledge is power, sometimes it’s hard to increase your water intake without reminders and convenience. Luckily, there are small ways to remind yourself to continue chugging water all day long. Keep a bottle for water at your desk at work. If you see the bottle sitting there, you’ll be more apt to go to the company water cooler and fill it up. It’s also a good way to know exactly how much water you’re drinking every time the bottle empties. You can even make it a challenge by telling yourself you have to finish a bottle by a certain time of the morning every day. Utilize technology to set reminders. If you use an alarm on your phone to remind you to take water breaks you’ll have no excuse that you forgot to get a drink. If you are trying to drink water before meals as well, it can remind you to drink the cup of water at the correct time. You should always order water even when you order a different drink, too. By ordering both water and soda, or water and coffee, you’ll be reminded that sugar-filled drinks like soda don’t replace water intake and you can drink a cup of water for every cup of soda you have. Drinking water can make a difference in your weight loss journey. Be sure to watch when you drink water, drink water throughout the day, and get creative in your water consumption.